Have you ever deleted all important files by accident? And you even do not have a backup of those missing files, and you are not able to restore it from the Recycle Bin since it is almost full and operating system asks to permanently delete it. Then what you will do? How to retrieve all deleted files that you have been working on with passions and energies? This is the very question that a great many users keep asking. Many computer users would like to post questions on forum or query website for solutions. As time goes on, it becomes extremely easy to recover deleted files free if you have recovery software prepared at hand. Accidental deletion of files might be the first account for data loss for many users. Though backup is not available and Recycle Bin fails to restore data, that doesn’t mean people lost files forever. Deleted file recovery software is created for the purpose of helping users recover deleted files free. Such recovery software works on the basis of simple principles, that is, missing files caused by deletion are marked for deletion only, but they are not really erased from sectors they occupy. That’s because the index entry (or pointer) of deleted file is removed, which makes operating system think sectors are free again and new data can be stored. Deleted file recovery software is able to scanning all sectors that are tagged “Free” by system and extract all deleted files, then get them restored. 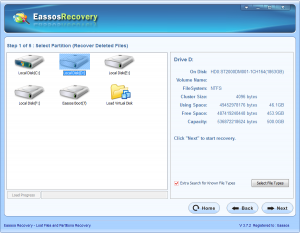 How to recover deletes files free from hard drive? 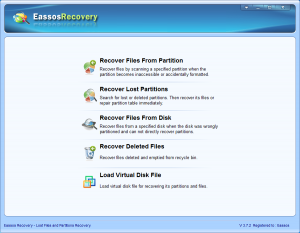 Eassos Recovery is one of the most popular options for file recovery and data recovery. It free version allows you recover up to 1GB of data. It has been proved to be way ahead of the competition. Its intuitive interface simplifies the recovery process for all users, and it supports both file recovery and partition recovery. So let’s see the detailed guide. 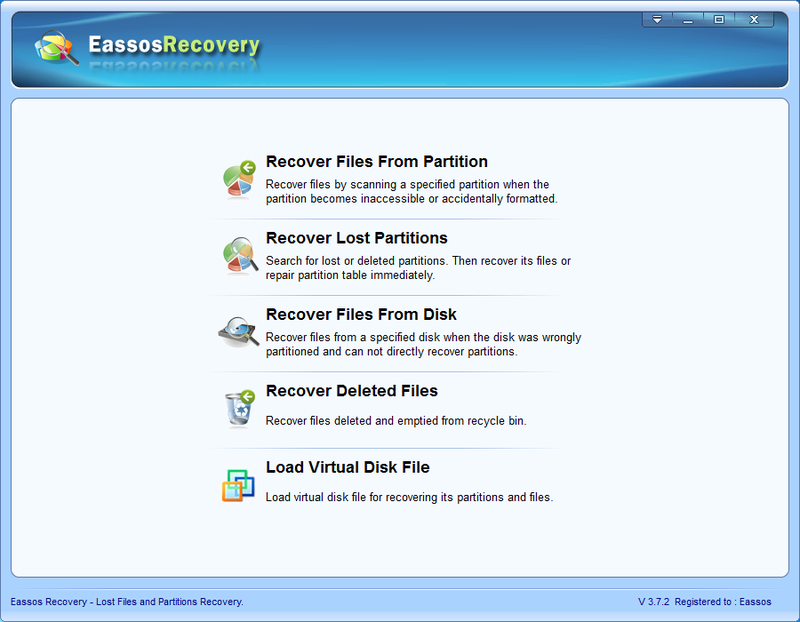 Step 1: Install and launch Eassos Recovery and you’ll see the main interface which consists of five features. 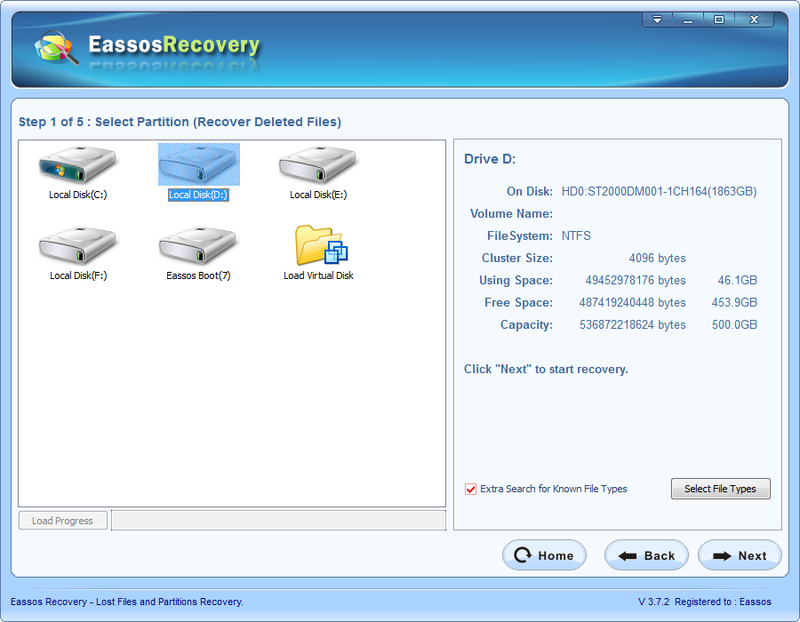 Step 2: Choose suitable recovery option for your data loss issue. Step 3: Select the partition where deleted files were stored and click “Next” button. Step 4: Preview and recovery. Always check the Recycle Bin to make sure that all deleted files are not in there. Otherwise, you can restore by right clicking files. Do close all other programs except recovery software, including programs working in the taskbar. Never create new files or folder, move data, copy data, edit documents and other operations. 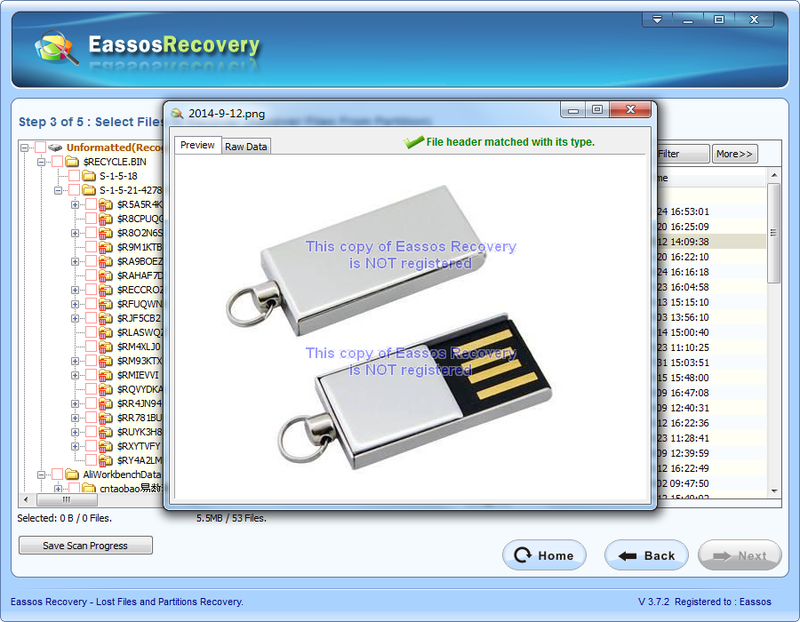 This entry was posted in Data Recovery and tagged deleted file recovery software, Deleted files recovery, recover deleted files free by EASSOS. Bookmark the permalink.